We are a locally owned business located in New Orleans, Louisiana specializing in all types of interior and exterior painting. We feature post home elevation painting on residential, new construction, and existing homes. Lowe’s Construction, LLC is dedicated to service of the highest caliber. Showing up on time, providing fair and timely service, and doing it all for a fair price is what we are about. The ethic of "honest always and first" is mandatory for anyone working for our organization. We are committed to providing our clients with the finest quality painting service and professionalism in full home and business painting services. Our experience and craftsmanship will help you discover and transform your home into the home of your dreams. True professionalism and good communication are what allow us to offer the best interior and exterior painting service possible to our clients. No matter what design you have in mind, there's nothing we can't find or match. If you prefer a specific paint or manufacturer, we're happy to use whatever brand you request. Our craftsmanship and customer-focused service are top notch and ready to go to work for you. We're extremely proud to uphold our reputation as one of the best painters in Southeastern Louisiana. 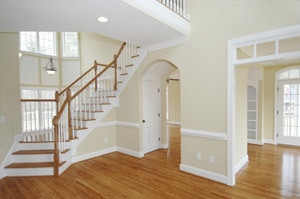 If you are thinking about painting your home, give us a call today and let our experience go to work for you!